There’s an old joke in sales about selling products at a loss but making it up on volume. A common complaint from sales teams is: we can outcompete and make more sales simply by reducing prices. But if you’re competing on the basis of having the lowest price, you’ll always be running on slim margins, putting pressure on the entire supply chain and putting your product (and your customers’ success) at risk. Competing on price has only one direction. Down. So how do you decide on your price? A blind guess? Copy your competitors? Price based on your costs? Price based on the value to your customer? Focus groups? Industry trends? There is a scientific way to figure out the optimal price point for your product. There’s no Homo economicus who makes logical decisions every time. 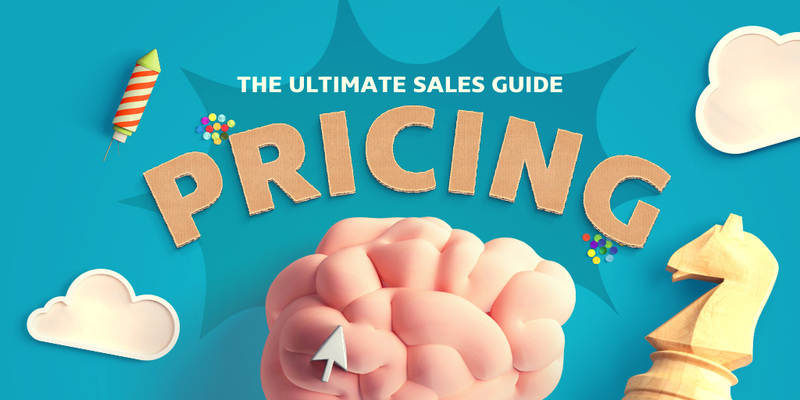 And once you understand the psychological triggers like price anchoring and decoy pricing, you can use them in your sales pages and pitches to 10X your price and have your customers love you even more. offer the product or service on the web and make the purchase as easy as possible (Stripe and/or Paypal). Then plot conversion rate against price and you will have the price elasticity of your product or service. Keep everything other than price constant as you move through this exercise. For example, don’t change the adwords campaign as you move through this process. We can see that the price is elastic: lower prices result in more buyers. But we really need to look at the total revenue for each price point. So you conclude that the optimal price for your product is $10 since it has the highest revenue. But this fails to consider one key fact. What about the 20 customers who would’ve paid $5? And what about those who’d pay $50? and $100? Each of those price points are worth $100 and you’re not capturing it. Out of $450 in potential revenue, you capture only $150 and there’s $300 in what we call consumer surplus. Good capitalists don’t like consumer surplus; we need to unlock the untapped revenue. One solution is to segment your customers with different price points tailored to each of their needs. SaaS businesses, web hosting, subscription services, and hardware like laptops all work this way. The core product is essentially the same at each price point and the tiers are differentiated by one of 2 ways. The product is the same for all users but you pay more when you have more volume (like customers in your database, or gigabytes of storage). 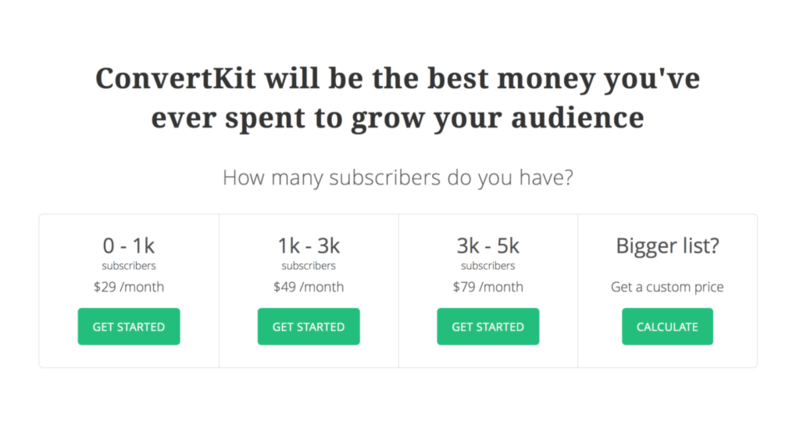 Convertkit uses simple straightforward tiers based on subscriber volume for their email marketing automation platform. The entry price might include the basic features but you need to upgrade for advanced functionality. 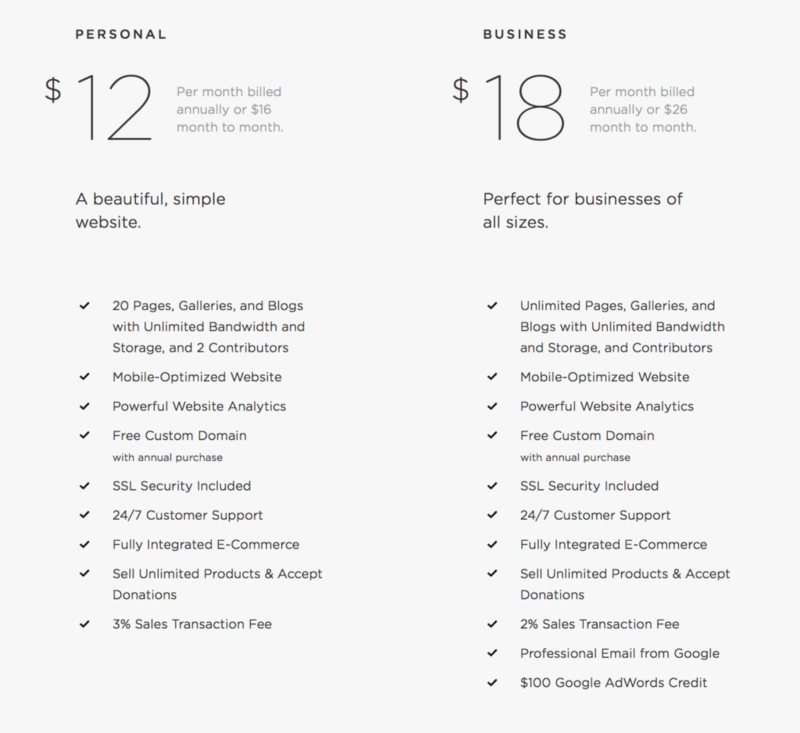 Squarespace includes more features and unlimited pages for Business users. Apple adds more storage and cellular connectivity as upgrades. It even works for info products like ebooks and courses. 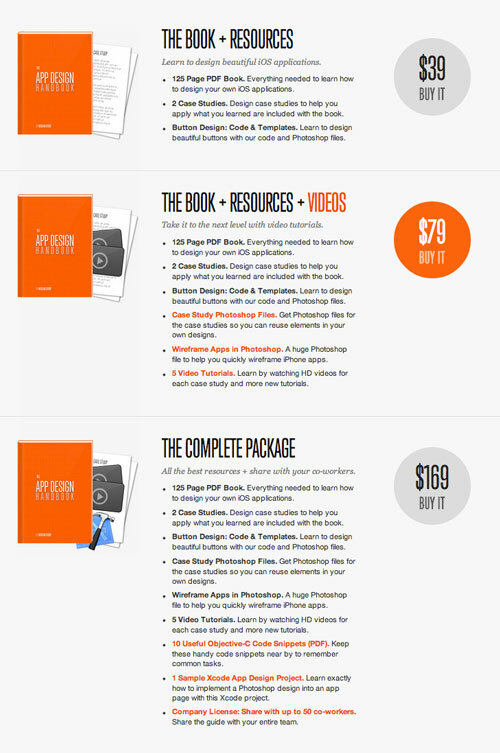 When Nathan Barry (ConvertKit Founder) launched his first book, The App Design Handbook, he created 3 pricing tiers with additional resources bundled into the higher packages. For his next launch, Nathan increased the higher price points and made $34,605 from 404 units in the first 48 hours. Sales had increased 25% over the previous book due to larger audience, but revenue was up by 77%. But for the second, he flipped the offerings, listing the complete package first as the default option. Book sales were constant but sales of the complete package increased by almost 50%. Placing the complete package first signalled that that is the product, rather than being a collection of bonuses bundled alongside the ebook. Clearly, there’s a lot going on here, so let’s look at some of the psychological cues that are influencing these buying decisions. As a sales person, it’ll help you find the sweet spot for pricing your products. As a consumer, it’ll give you a new lens to help you navigate complex buying decisions. Economics assumes that buyers and sellers always act in their own best interests. But that’s not how we think. Behavioural economics takes the irrational human into account, resulting in a quirky world of unexpected results that underscore how pricing strategies influence what we buy, and when. Watch this video of Steve Jobs announcing the iPad price on stage in 2010. “What should we price it at?” asked Jobs. It’s masterful showmanship, laced with psychological triggers, but the big force at play is price anchoring. By imprinting the made-up price of $999 in your mind, it makes the real $499 a bargain. Apple sold 300,000 iPads on the first day. Anchoring is possibly the most powerful and simplest tactics you can add to your call or sales pitch. Lead with a high price and let it ruminate in the prospects mind, before revealing the actual price they’ll pay. One way to do this is to talk about the real-world value your product will deliver – If your HR management software can help your client save $200k on recruitment, use that as your price anchor. When you reveal the $50k price tag, it’ll highlight just how cost-effective it is. Without the anchor, $50k might seem high. It’s easy to understand what’s going on with the iPad, but what happens when we use another number as a price anchor, something completely unrelated? In Predictably Irrational, Dan Ariely recounts Drazen Prelec’s experiment at MIT’s Sloan School of Management. He handed the students a list of 6 items and asked them to write the last 2 digits of their social security number as a dollar amount next to each item. He then asked each student to write YES or NO next to each item, to indicate whether they’d buy each item for that price. Finally, he asked students to write the maximum they’d pay for each item before collecting and collating the results. Those who bid highest actually bought the items for that amount. But did the social security numbers influence the purchase price? Remarkably, yes. 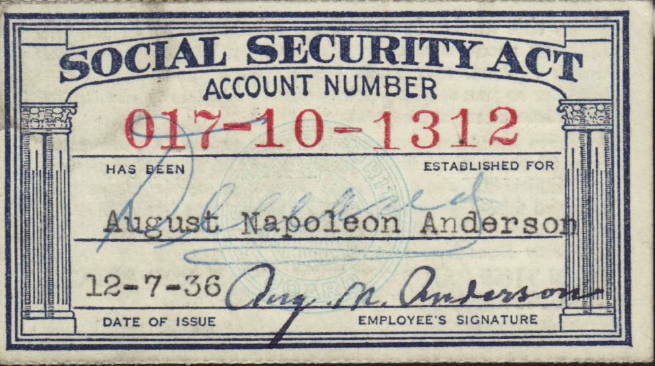 The social security digits reframed their ability to judge the value of the items. 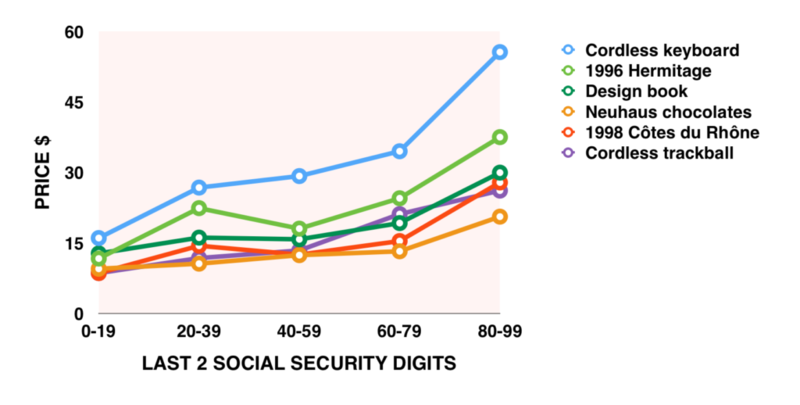 Those with social security numbers in the range 80-99 bid 216 to 346% higher than those in the 01-20 range. The key takeaway is that any number works as an anchor. That’s why vendors use the manufacturer’s suggested retail price (MSRP). Essentially it’s just a made-up number, but sometimes it’s the only point of reference you have. It’s an anchor and it’s exactly how Steve Jobs pitched the iPad. When you’re creating your pricing structure, or pitching on a sales call, placing an arbitrary (high) number in the mind of your customer will help them place more value on your product. Using relevant company metrics makes the anchor fit seamlessly into your pitch. In his book Predictably Irrational, Dan Ariely describes a – now canonical – example of pricing. He noticed the following packages for subscriptions to The Economist and decided to test the pricing with his MIT class. Clearly the third option is way better than the second and, as a result, 84% went for option 3, and 16% for option 1. Total Revenue: $11,444. Nobody bought option 2, but what would happen if you took it away? Although nobody actually buys just the print subscription it’s an important benchmark to help buyers compare and contrast the other options. It’s a decoy. Gregg Rapp, a restaurant consultant saw the same thing with menu pricing. It turns out that high-priced entrées increase overall revenue, even when nobody buys them because more customers go for the second most expensive item. If you want to use decoy pricing to help guide clients towards buying your best products, think about offering different options or bundles that add an anchoring effect and highlight the value of product you really want to sell. And, if you ever want to streamline your range of products, think about the negative impact it might have on sales of the products you decide to keep. Why do all prices end in .99? We’re all familiar with prices that end in a nine. It’s everywhere we look. Even though we know that $19.99 is a rounding error away from $20, and even though we know that this is just a psychological trick that shops play, it still works. And as long as the data support it, vendors will continue to use the power of the number 9. They call them Charm Prices. In his book Priceless, William Poundstone reported that, on average, these charm prices increased sales by 24% compared to their ’rounded’ price equivalent. Digital sales platform, Gumroad ran a meta study to compare the conversion rates (the proportion of people who saw a product that bought it). They compared every item available in their marketplace in whole dollar prices with every item available at one cent less. The .99 prices beat their rounded counterparts across the board, with a conversion lift of up to 118% at the $1.99 v $2.00 level. And by plotting the total revenue for each price point, $4.99 is a clear winner if you want to maximise revenue. This kind of data is especially important if you’re buying ads for your product. Paying $0.15 per click for a $4.99 product is profitable. Any other price point is not and the economics of your funnel simply won’t work out. If you want to use charm pricing to lift your conversions, it’s important to understand the price elasticity for your product and your market. Run the split tests on your pricing to figure out whether it lifts your revenue. The Gumroad example is clustered around the $1 – 6 range, covering information products in a particular marketplace, with its own culture and expectations. Don’t just price your product at $4.99 because that’s what this data suggests. It’s probably a local maxima and you might make a lot more revenue at $9.99 or $19.99. Only your data can determine that. And charm prices can work differently at different scales. If your product is a low-priced consumer SaaS (Netflix / Spotify) it might be important to use the .99 cents pricing. If you’re selling a thousand dollar B2B server, .99 looks trivial. Better to stick with $999. I don’t have the answer – it’s up to you to test. If you’re selling an eighty-grand Tesla, you really don’t need to use charm prices. Psychological tricks like that can seem petty and devalue the product. Ultimately, nothing beats having an incredible product that people want. 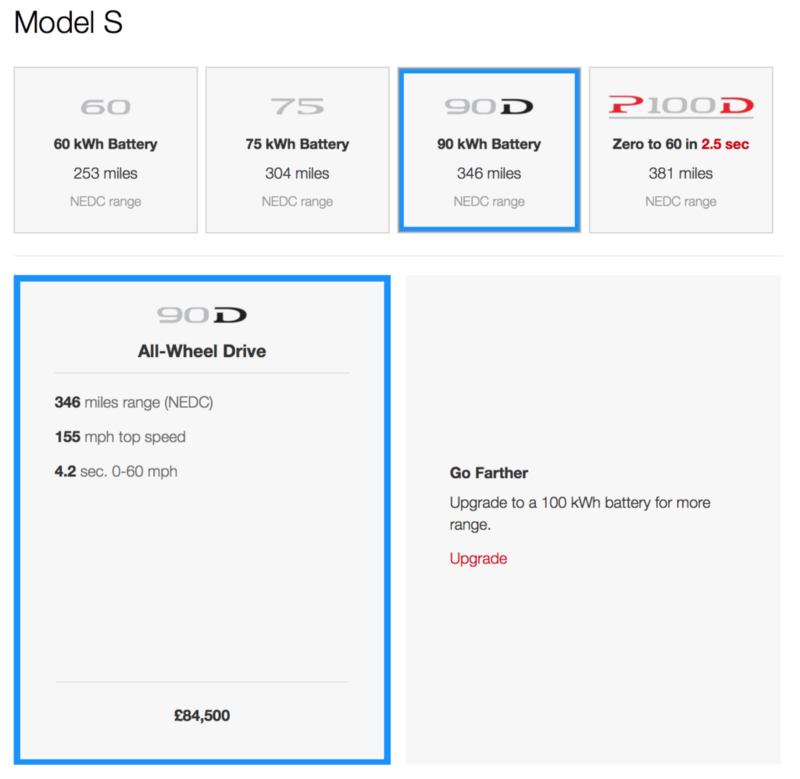 Tesla doesn’t need charm pricing. Why is Enterprise Software so Expensive? When broadband connectivity and the cloud arrived, it completely rewired the distribution model for software. When you remove the boxes, the freight, and the disks from the distribution infrastructure, it drives the marginal cost of a unit towards zero. This works perfectly for consumer SaaS products because everything is automated. Sales, ads, marketing, distribution and support are all delivered online. But the economics of large (enterprise) organisations like multinationals and universities operate on an exponentially higher scale. In enterprise, the relative efficiencies of SaaS are removed because there are so many more people involved. The end user rarely makes the purchasing decisions. There are purchasing departments, procurement managers and VP sign-offs. Manual purchase orders and invoicing. Sales calls, in-person demos, business-class flights, hotels, steak dinners, and green fees. Account managers and real-time phone support. Lawyers get involved demanding service level agreements (SLAs) and guaranteed uptime. Tenders and proposals lead to purchasing cycles of months or years. The entire infrastructure for supporting enterprises is bigger. It’s a more manual process with a lot of human involvement. And ultimately, all those humans have to be paid by the economics of the product. There’s a Enterprise culture too. Large organisations expect to pay a lot (and can afford to). There are already thousands of line items on the balance sheet. And they’re all price anchors. If your software contract costs less than the budget for printer toner or the coffee bill, they might distrust your product. 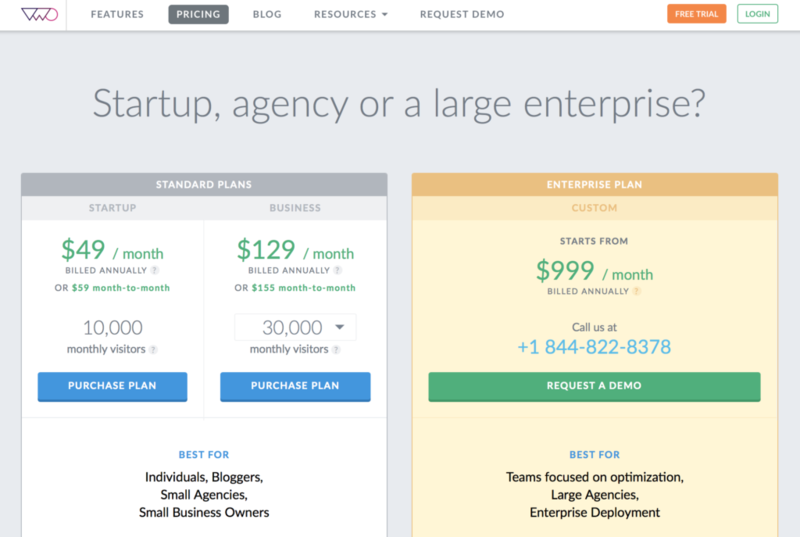 The pricing page for Visual Website Optimizer includes enterprise pricing and a “Call us” CTA, which triggers a wholly different process from the self-serve startup plans. 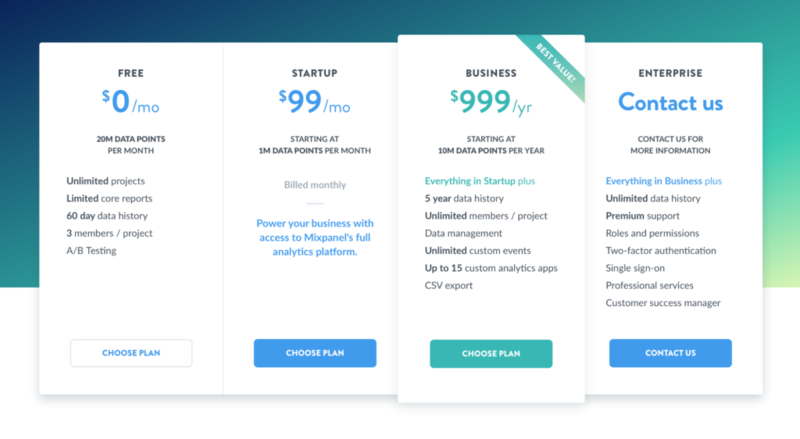 Mixpanel also uses the “call us” CTA but also includes a high-end “Business” package at $999, serving as a price anchor that suggests the “Enterprise” tier is significantly more. There’s a lot going on with the psychology of pricing, so how do you crystallize all this information into a practical pricing strategy? Ultimately, you have to start somewhere. Having your product in the marketplace is far more important than spending time aiming for the perfect price. Even a gut feeling based on your intuition of the marketplace is a reasonable place to start. Just make sure that you’ve covered the downside and that you charge enough to cover your overheads, COGS, CAC, and the ongoing costs of supporting your growing customer base. Think about offering a 1-2 month discount for annual subscription plans to encourage a longer-term commitment. Collecting revenue upfront makes forecasting more predictable and gives you the cashflow to reinvest in growth, support, product development, etc. 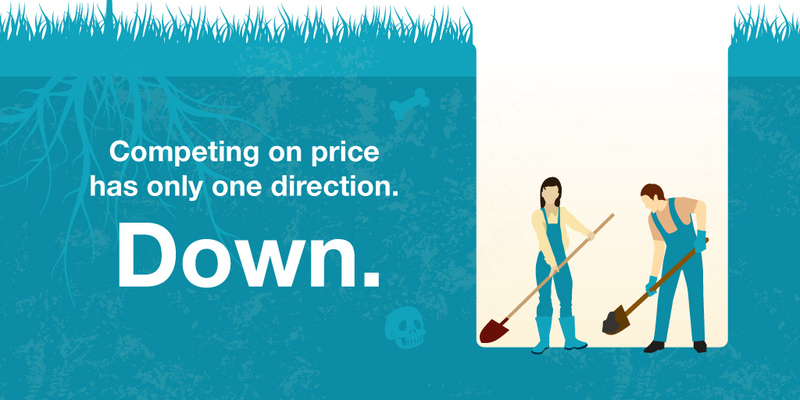 Consider a decoy price to help anchor the value of your higher-priced offering. Consider placing an arbitrary (yet high) number near your actual price. Know your price elasticity and incorporate charm pricing into your testing to determine your price points. Used tiered pricing to serve the different market segments. But avoid having too many options – 3 is a good place to start. Use descriptive package names. 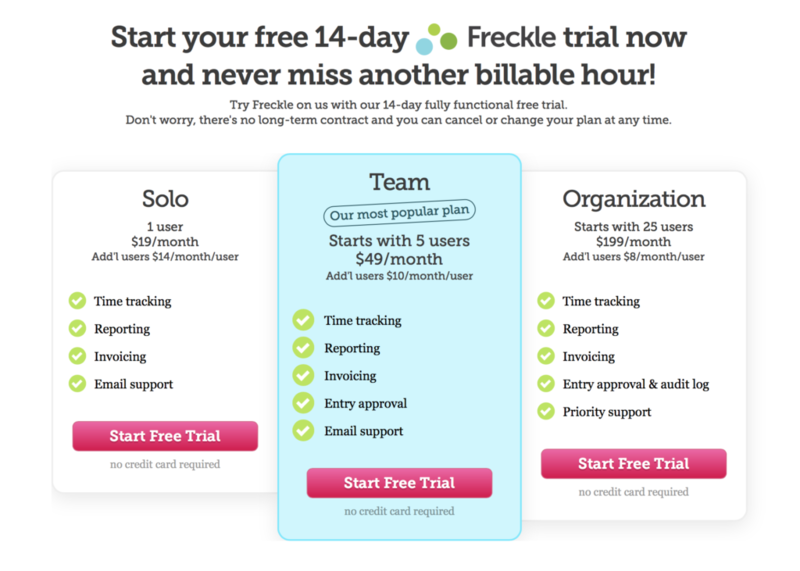 Freckle’s plans are named Solo, Team and Organisation so users can self-identify with the tier that’s right for them. You can probably charge more for your product than you think. Some people will always buy the most expensive option because they believe it is the best. That’s why Ferrari exists. And the Hermes scarf. And the iPhone. It just means that they’re motivated by different values – they’re not price sensitive and don’t want to spend their valuable time choosing which is the cheapest. But how do you go about raising your prices without causing a revolt from your existing customers? Amy Hoy, of Freckle, suggests grandfathering. How to grandfather your customers, by Amy Hoy. The key is to not only not raise their price, but to be absolutely sure they know you’re doing it. For your existing customers, simply keep providing the same great service at the plan level and price they’ve been paying. Aka change nothing. The key is to be transparent, communicate what you’re doing, and only raise prices for new customers. It’s a way of rewarding your early adopters for buying into your idea right from the beginning. And you get to honour the unwritten contract by sticking to the price they signed up for. Should you offer discounts or go freemium? 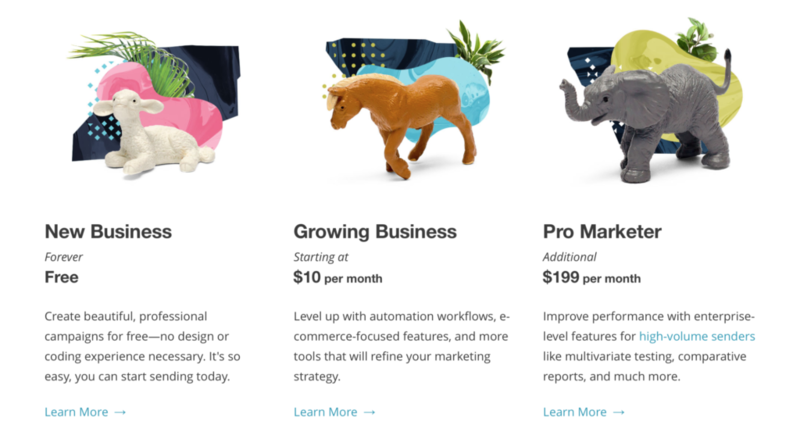 Freemium – How Mailchimp Grew by 5X In 1 Year. 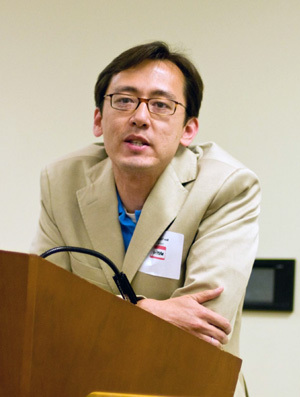 Founded in 2001, it took Mailchimp 8 years to grow to 85,000 users. Then on 1st September, 2009, they added a free tier to their offerings: 500 subscribers (now 2000) for free, and within 1 year, they grew to 450,000 users. 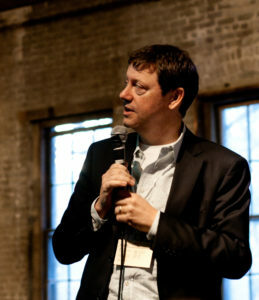 Founder Ben Chestnut attributed the success of their freemium model to their relentless tracking of their metrics, and a ratio of 10:1. That for every paying user, you can expect 10 free users. “For eight loooong years, we were focused on nothing but growing profits. If you had brought up the concept of “freemium” with us during those eight years, we probably would’ve looked at you like you were eff’ing insane, then went back to work. In fact, when we launched MailChimp in 2001, we didn’t even have a free trial option. It took us several months to get that in place (I think that was more a function of my co-founder and I getting laid off from a dot-com than anything else). And when we launched our free trial, it only allowed something ridiculously low, like 25 emails. In other words, we’ve been laser-focused on the “1” side of that 10:1 ratio. We’d never consider freemium until our “1” was big enough. Enough to pay for 70+ employees, their health benefits, stash some cash for the future, etc.” – Ben Chestnut, Mailchimp Founder & CEO. The key for Mailchimp was that FREE was a customer acquisition strategy not a user acquisition strategy. Once they were clear on how much they could afford to pay to acquire a customer only then did they know what they could give away for free and what share of those users would convert to paying customers and earn them profit. In January 2017, Dropbox became the fastest company to reach a $1bn run rate – they did it in under 10 years. But the early growth was powered by a freemium model that leveraged a different kind of currency: social equity. When users signed up for Dropbox, the platform and onboarding was designed to turn those early customers into early ambassadors who were rewarded with extra storage space. There was always the option to simply upgrade and get extra storage, which served as a price anchor. The second way was to use your influence and trust amongst your friends to recommend Dropbox in the same way you’d recommend a song on Spotify or a new coffee shop. The referral program became the main growth engine Dropbox used to go from 100,000 to 4,000,000 users in 15 months. The cost to dropbox was effectively zero and the word-of-mouth virality bypassed traditional marketing channels and ad spend. Your sales process should already have established how the prospect buys (their stakeholders, decision-makers, buying cycle) and determined that they’re a good fit for your product. Still, there will be times when you’re on a sales call and the client asks for a discount. You need to be prepared so that it doesn’t derail your pitch. This is especially important in the early days where you’re still uncovering points of resistance from your clients. First, you need to go back into discovery mode and ask questions. And – as with any question – shut up and listen because that’s where you begin to understand the real resistance. And in these cases, where a discount is defensible, it makes sense to offer it. You can even make it part of your pricing strategy. If you do decide that a discount is appropriate, you can make a time-limited offer to add some urgency and create scarcity: “if you sign up in the next 24 hours, I can give you a 10% discount on your first bill”. This puts the prospect’s mind at rest and places you back in control of the pitch. Some people ask for a discount because they think haggling is just part of the buying process, in which case they probably don’t have a good answer. Asking for a discount usually means that they’re focusing on price instead of value. You need to re-establish their problem and present the value proposition to regain frame control. Resistance isn’t always about price. Ask “what do you feel is a fair discount?” then check that they’re being honest with themselves. If they say they’d pay $1750, ask “If I offer this to you for $1750, would you buy it right now?” If they deflect and raise another objection (“I’m still not sure about security”) you have other questions to address. Time to dig in. Keep questioning to discover whether the price objection actually reflects a product problem (valuable feedback for your product team) or a problem with the buyer’s purchasing practices (which you need to establish). – Are you tendering this purchase? – How many vendors have you spoken with? – When do you expect to make the purchase? – Are you the end user? – Do you use a credit card? – Who authorises the purchase order? – What are the price thresholds for VP sign-off? Once you understand the buyer’s process, you can become their ally and help them negotiate their internal bureaucracy. “We don’t offer discounts to anybody” might seem cold but if your prospecting and sales funnel has done its job, your client should be happy to pay the full price because you’ve already established product-customer fit. Reframe the “discount” question and return to a price anchor to highlight the value. Emphasize that the price is already discounted compared to the MSRP, or a competitor’s price. Turn the “no” into a “yes” but highlight that the discount is only available for the annual contract, not for monthly billing. If the customer asks for a discount before trying your product, it might be a sign that they’re not ready for your product. Encourage them to sign up for a free trial or demo so they can grasp the value that your product provides in real life. That small investment commits them to your onboarding process and helps them self-select whether it’s a good fit. If you have a decoy price, suggest that as your discounted offering. Your customer will probably choose the better value, higher-priced option anyway. Don’t offer a discount but offer an upgrade: extra credits, a consultation, access to a community, insider data, or whatever is relevant and valuable to your industry. Always focus on the additional value. On a whim Caroline and I decided to do a Black Friday bundle of all our courses, guides, and digital goodies. We’d been looking for a way to use Bumpsale together, but nothing felt right. 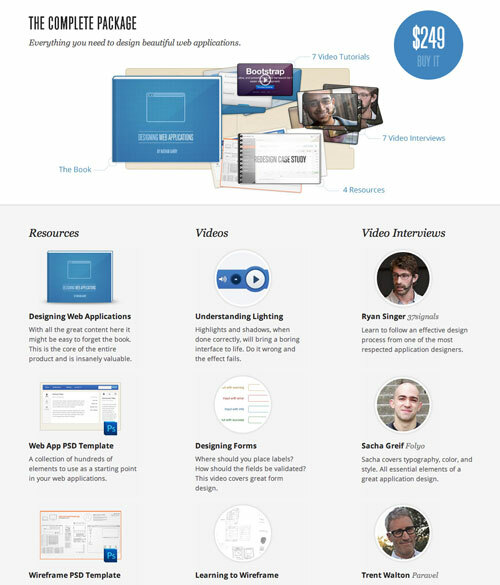 Then, the Vibrant Stuff Bundle was born (Caroline’s site is Made Vibrant, and my site is JasonDoesStuff). It was 16 total products, valued at $2,500, but the price started at just $1 and increased by $1 after each purchase. A few days of work, a few years of creating products, and what I thought would bring us a couple thousand dollars, brought in over $20k! Crazy awesome. It also felt good to give folks who couldn’t afford to buy all our products the deal of a lifetime. The Bumpsale model ticks a lot of psychological boxes. The initial seed price artificially creates scarcity and inflates demand. As early buyers rush in, it creates a sense of urgency to buy at a bargain price. But then the demand becomes real and as more people buy, it creates more social proof further validating that the deal is still valuable. 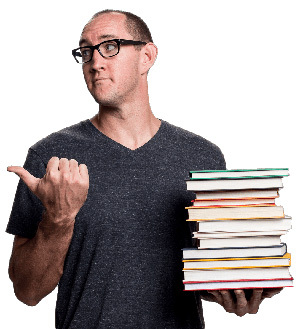 In 2013, after spending 2 days at a workshop with Seth Godin, Tom Morkes decided to turn his collection of my notes, sketches, and ruminations into a pdf to give away to his (tiny) 166-subscriber audience. But then he had an idea. Instead of just giving it away, he added the option to buy the pdf for an optional amount. Instead of setting the price, he left it to the open marketplace to decide what was a fair price. In the first month, the report generated $493.50 from just 282 views. It turns out that 49% of those who downloaded felt that a donation was fair, and one person felt that $100 was a fair price. The truth is that fans want to support creators for their work. Pricing is one of the most influential levers you have in your sales process so it’s worth spending the time to build a robust pricing strategy into your pipeline. Yes, it’s critical to track conversions right through your funnel, but ultimately everything is multiplied by the price people pay. Test how pricing impacts conversions and determine the optimum pricing tiers for your different customer segments. Don’t be afraid to test exponentially higher prices, otherwise you’ll get stuck optimising a local maxima when there are much bigger opportunities as you move along the curve. Chances are, you’re charging too little. When you increase your prices, grandfather-in your existing customers and lock-in the price they signed up for. It’ll increase loyalty and referrals. Test the impact of psychological triggers like anchoring, decoy pricing, and charm prices. Always emphasise the value that your product delivers and use that as a price anchor. Use free trials to help onboard your customer and use that opportunity to demonstrate the value of your product. Perceived value is real value. Avoid discounting your product. Instead, think about delivering more. Bundle tools that increase customer success. To use discounts without devaluing your product, reward loyalty and commitment by discounting annual plans. 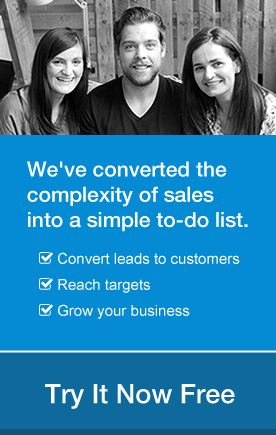 It’s an easy way to increase cashflow and ignite your growth engine. Nothing is more sustainable than customer-funded growth. Calculate the ROI for a freemium option. Free customers are the least committed and (often) the most demanding. But if there’s a positive return, free can work as a customer acquisition strategy. Keep testing and innovating on your pricing. Most successful strategies combine a few persuasive cues and behavioural psychology. It’s a good idea to use tiered pricing, anchoring, decoy pricing, free trials, and social proof. Above all, be transparent and upfront. Clarity in your pricing is critical. Customers value simplicity – make it easy to identify which pricing tier is best for them. And keep testing. It’s worth saying twice. Thank you so much for this article. Very relevant for what we are doing now. Any particular reason why, in the beginning, you recommended to start at the highest end of the pricing range and then lower the price iteratively? As opposed to A/B testing equally spaced price increments across your price range? In the beginning, I would not expect enough traffic for a proper A/B test. However if you can drive the numbers then it is worth doing.